Prototype: German Federal Railroad DB class 216 diesel locomotive in an Ocean Blue beige paint scheme. Model: Both trucks are powered. The headlights and red marker lights change over with the direction of travel. They are maintenance-free warm white and red LEDs. The locomotive has a reproduction of the inductive magnets. Length over the buffers approximately 75 mm / 2-15/16". 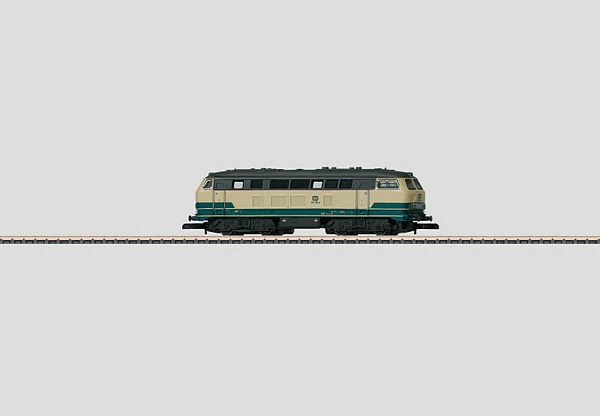 The addition of the 87339 car set to the 88784 locomotive will give a prototypical train consist.